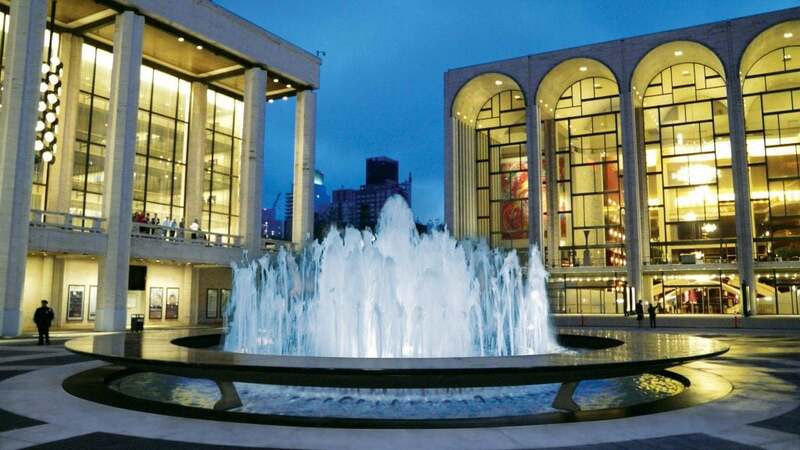 Lincoln Center sits in the middle of Manhattan’s Upper West Side. 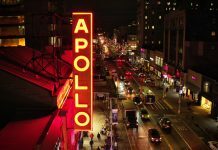 It is home to some of the most revered performing arts companies in the world. This vast complex was built to invigorate the neighborhood during the city’s lean and mean 1960s. It has several dozen world-class indoor and outdoor performance spaces. 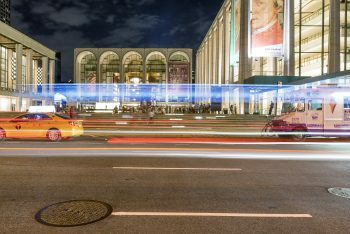 Lincoln Center is vibrant and relevant any time of the year, but summer is when it blossoms with a range of outdoor performances, many of them free or low-cost. For fans of ballet, early summer is a great time to see the American Ballet Theater, also known as ABT, perform one of their storybook classics. Splurge and dine at the Grand Tier before the show for a truly unforgettable evening. People watching, gazing at the fountain and licking an ice cream cone from L’Arte del Gelato are a few of Lincoln Center’s finest low-key activities. 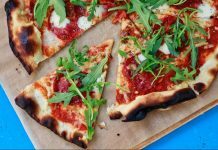 Get ready for summer in the city with events so spectacular, you’ll almost be glad you can’t afford a rental in the Hamptons. 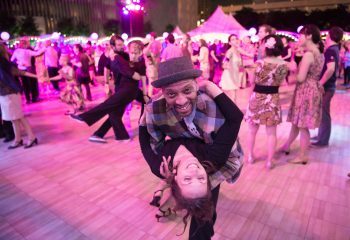 Put on your dancing shoes and get ready to shake it under the stars at Damrosch Park. Each of the 15 evenings celebrates dance and music from around the world. Start with a short dance lesson where you’ll learn the Lindy hop, the hustle, salsa, swing or tango, before you head onto the dance floor and break a move. 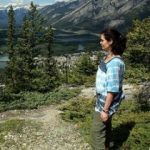 Tickets cost $17 in advance or $20 day-of. Newcomers and pros alike are equally welcome. A disco party on June 28 and salsa dancing to Orquesta El Macabeo on July 10 are two of the most highly anticipated evenings. Insider tip: Some of the best dancers can be found outside of the official dance area. Even if you don’t purchase a ticket, enjoy the music and the lively crowd. What could be better than three weeks of top-caliber music, dance, and spoken word, all of it absolutely free? This festival is committed to eclectic cultural programming for the entire community. Wu-Tang Clan founder and native New Yorker RZA kicks off the season with a re-score of the 1978 martial arts classic film The 36th Chamber of Shaolin. With its themes of perseverance, transcendence, and brotherhood, the film was a formative influence on Wu-Tang’s aesthetic. Dance Theatre of Harlem displays its powerful vision for dance during a performance of signature works on August 4 at 7:30 pm. Singer-songwriter ALA.NI will also perform, so a night of spectacular song and dance can be expected. Mostly Mozart presents international dance, theater and classical music. Consider an illuminating panel discussion with a group of the world’s foremost Mozart experts on July 29 or listen to an all-Mozart program performed by the Prague Symphony on August 3 and 4. 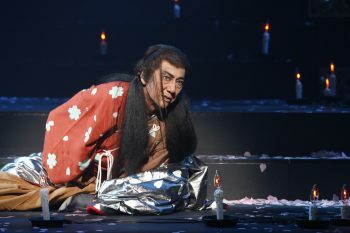 The showstopper may well be the revival of the landmark production of Yukio Ninagawa’s Macbeth from July 21-25. The Grand Tier enjoys a princely position inside the Metropolitan Opera House. Gaze at the murals by Marc Chagall, the twinkling Swarovski chandeliers, the soaring ceilings and the expansive views of Lincoln Center’s Revson Fountain and beyond. The setting is pure magic and the grand dimensions are unlike any other restaurant in the city. With so much space and ambiance, the food is almost beside the point, yet it’s surprisingly delectable. Beautifully plated, modern American dishes prepared with finesse and impeccable ingredients, from composed salads dotted with edible flowers to lightly poached salmon, will satiate the most discerning gourmand. Classic desserts such as Baked Alaska and soufflé suit the elegant mood. Book the 3-course prix fixe menu for $70 and get ready for a regal feast. Ticketed guests attending the Metropolitan Opera can seamlessly pre-order food and drinks online before performances or during intermission. 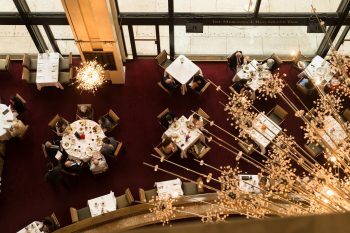 Grand Tier is open two hours prior to every Met Opera House performance. Closed in August. 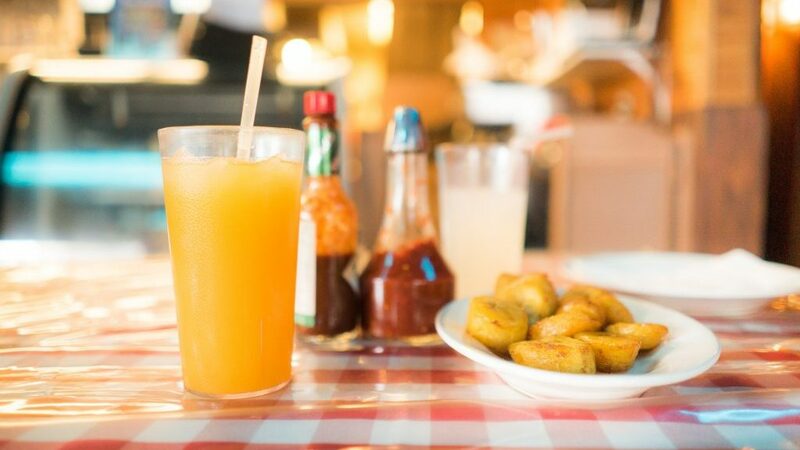 No theater ticket is required, so the dining experience is open to all. American Ballet Theater performs through July 7 so consider combining a tutu-heavy dance performance with dinner for an iconic New York City evening. Take the 1 train to 66th and Broadway. Citi Bike kiosks are plentiful near Lincoln Center, so pedal over.